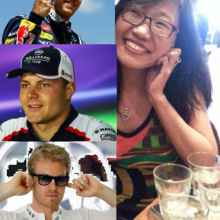 "F1 Fanatics following the races around the globe." A group dedicated to racing enthusiasts who love Formula 1. A gathering of fans supporting different teams/drivers together to watch the race played on a big screen. Ultimately, it’s all about fun, banter and great memories!